Noa Mintz, Founder of Nannies By Noa on The Today Show. 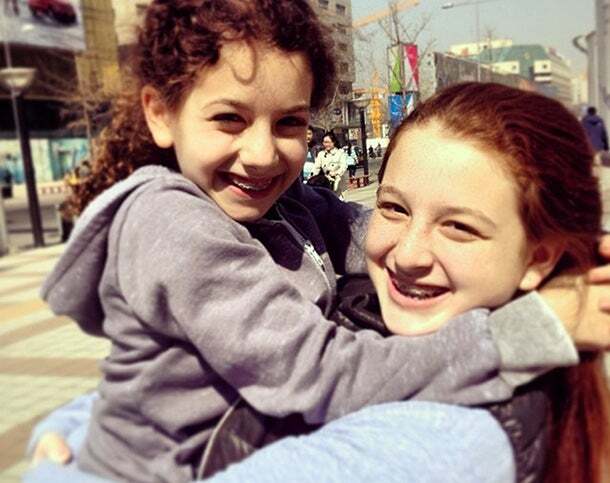 Growing up, 15-year-old Noa Mintz was always nonplussed by the cadre of babysitters her parents had hired to look after her, who stood off to the sidelines on playgrounds, fumbling with their cell phones. And so three years ago, Mintz, then 12, decided to take matters into her own hands. She formed Nannies by Noa over her summer break from middle school, a company that seeks to pair families with highly engaged caretakers. Initially, Mintz drafted nannies and babysitters from her own social circle and recruited others at SoulCycle to build up a network of sorts, according to the Post, charging a few hundred dollars to each family who found a match. Helped by word of mouth and guidance from her dad, who works in private equity, Nannies by Noa eventually grew into a full-fledged enterprise, now servicing 190 clients in the tri-state area with a network of 25 full-time nannies and 50 total babysitters. Today, the company charges 15 percent of each nanny’s initial gross salary (typically $50,000 to $80,000, Mintz told the Post) and a flat fee of $5 for each babysitting job. With reported revenues of $375,000 thus far, Mintz says she hasn’t drawn a salary just yet, but isn’t ruling one out in the future. In fact, business has been so explosive that, during a recent SoulCycle session, it dawned on Mintz -- who is now in high school -- that she should hire a CEO. Last July, she tapped 26-year-old social worker Allison Johnson, who had initially applied to become a nanny, to lead the company’s day-to-day affairs.